Ordinarily a well-fed horse won't do anything more than sample an unfamiliar plant. Most plants with toxic substances have unpleasant tastes, which doesn't encourage a horse to browse enough plant material to harm it. Hungry horses that lack good forage thanks to droughts or overgrazing, however, can be tempted to eat potentially harmful plants, and in some cases only 2 1/2 pounds of leaves can be toxic to a horse. 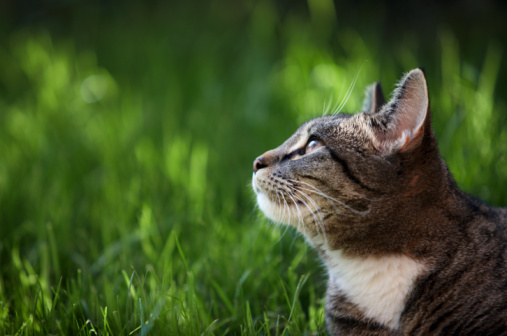 To protect your horse, feed it well, eliminate plants and weeds that might endanger it from its yard and pasture, and landscape with plants nontoxic to horses. Close-up of a crape myrtle shrub. For areas you want open in winter, consider horse-safe deciduous shrubs. 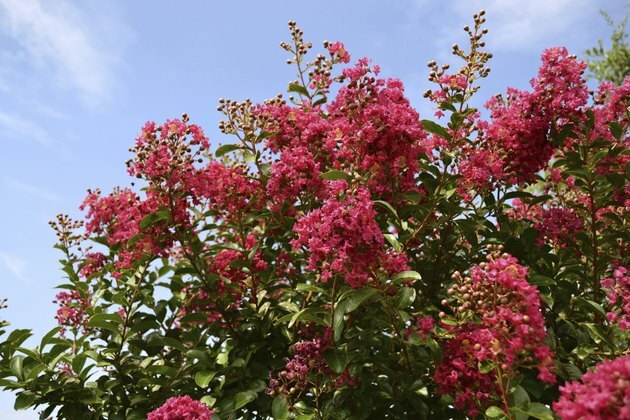 For bright fall leaf colors and showy, profuse summer flowers, plant crape myrtle (Lagerstroemia indica), a large shrub or small tree. Flower colors range from white, pink and red to purple and lavender. Colorful, peeling bark adds year-round interest. Growing in U.S. Department of Agriculture plant hardiness zones 7 through 9, crape myrtle needs full sun and good drainage. Another example of a large shrub to small tree that has showy flowers, star magnolia (Magnolia kobus var. stellata) bears white flowers in spring before the leaves emerge. Hardy in USDA zones 5 through 8, fall leaf drop reveals interesting branching structure. Close-up of a crimson bottlebrush flower. Evergreen shrubs nontoxic to horses provide screening, boundary definition, hedges and backgrounds for shorter plants. Some evergreens also provide showy seasonal color, such as camellia (Camellia japonica). Hardy in USDA zones 7 through 9, these shrubs reach 10 to 15 feet tall and as wide. Large single or double flowers in shades of pink, white and red appear in spring. 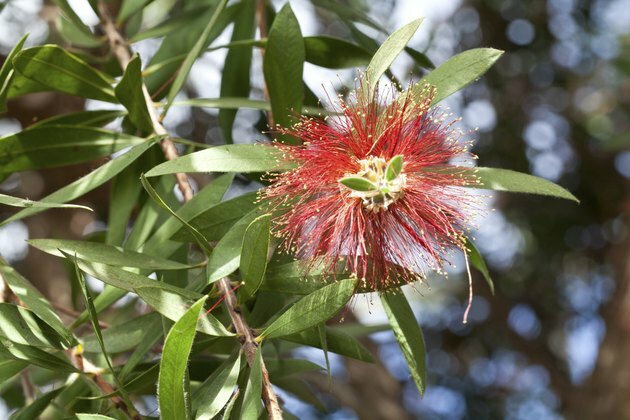 Another evergreen with showy flowers, crimson bottlebrush (Callistemon citrinus) produces brilliant red flower clusters at branch ends primarily in spring and summer but nearly all year in mild winter climates. Growing in USDA zones 8 through 11, plants are about 10 to 12 feet tall and wide. Horse-safe annual flowers to add to flower beds or containers include nasturtium (Nasturtium spp. ), which produces plentiful, bright flowers in red, orange, yellow and cream. Trailing nasturtium (Nasturtium majus) climbs trellises and bush nasturtium (Nasturtium minus) has mounding growth. 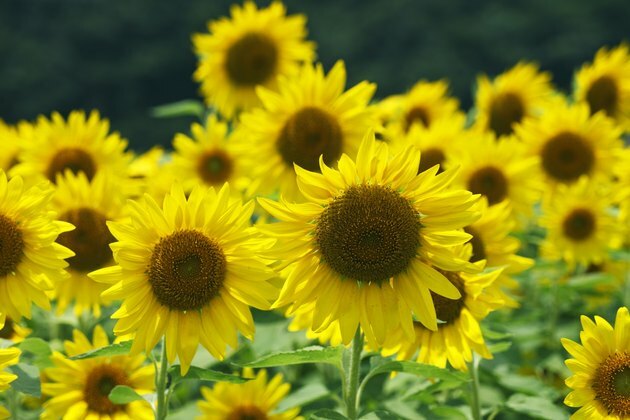 For a tall-growing annual that yields large, showy flowers consider sunflower (Helianthus annuus). 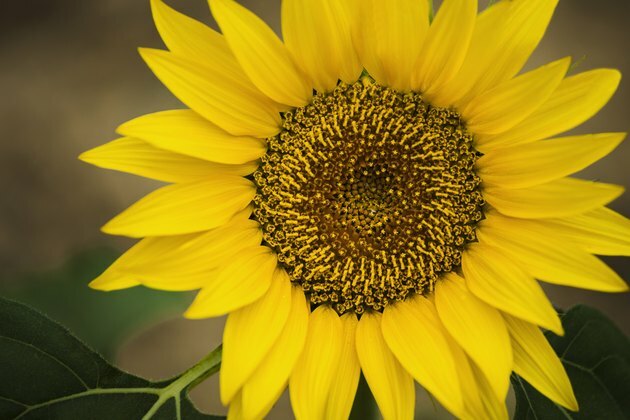 Choose from cultivars that give edible seeds or those with lower-growing branching growth forms that yield colorful cutting flowers. Close-up of a daylily flowers. 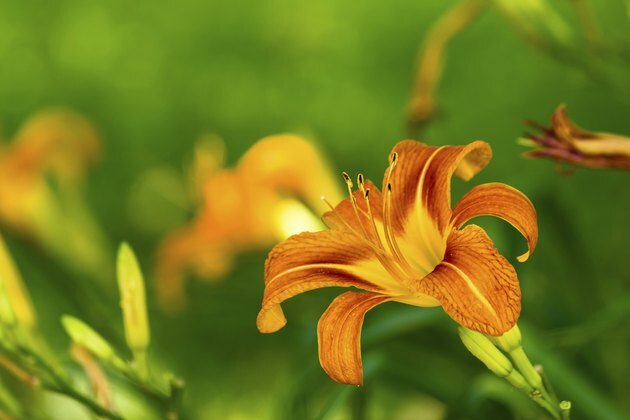 Horse-safe perennials include daylilies (Hemerocallis spp. ), which do best in USDA zones 4 through 9. Many cultivars exist, but their commonality is flowers held on stalks above the clumps of slender leaves. They come in almost all colors except blue and black. Depending on the variety, daylilies can be winter-dormant, evergreen or semi-evergreen. An example of a perennial grown more for its colorful foliage than for its flowers, coral bells (Heuchera spp.) feature mounding foliage to about 15 inches tall in colors that include red, purple, pink, lime, orange, yellow and bronze. Some coral bells have multiple leaf colors. Slender flower stalks produce wispy-looking pink, white to red flower clusters in spring. Most coral bells are hardy in USDA zones 4 through 9, with variation depending on the cultivar.